In the Emerald Isle of the Fae, an olden mound gives silent testimony to what once was—a magical Celtic place of tribal beliefs and chieftain kings, of earth priests and priestesses. A silent mysticism gives testimony to the passing of the ancients, a people who celebrated something the West lost centuries ago, the Sacred Feminine. The denizens of this island never sought to conquer others, they were always the conquered. They never successfully struck out for foreign lands for colonization. They never successfully sought war with others for gain. They have no history of exploitation of other races or cultures. The country’s greatest influence on the planet was unexpected and unplanned, the mass migration of most of its people to the US and other Continental European locales in the wake of The Great Potato Famine. The global impact of these immigrants on their new homes is undeniable and indelible. They brought their language and customs with them; thus, in a sense, the Irish “invaded” by social means countries they had never anticipated. The schism in the country between its Catholic people and its Protestants left the island divided into Ireland (Éire) in the south and Northern Ireland (under the British Crown). Today, the combined island countries have not regained pre-Famine population numbers, and it is one of the weaker geo-political entities on the face of the planet. Yet, despite the turmoil wrought by Christianity, the country had a rich, pre-Christian culture and civilization remarkable for its equality of the sexes, its metal works, and its monuments carved from the very earth itself. The Hill of Tara marks a wondrous, pre-Christian occupation site upon the landscape, a truly sacred place, a place where some of the earliest civilized humans recognized duality, where wonder and the conjugal nature of humanity—both male and female—was celebrated. It is the place of Ireland’s first capital. True land surveying for the purposes of establishing boundaries (not for altruistic means, but for taxation purposes) was invented by the Egyptians. It required trigonometry and some other mathematical manipulations to make sure that what was measured was not only accurate but defensible—no one could claim that what was done with respect to his property boundaries was ad hoc. Independently, and in cultures with no known contact with each other, humanity embarked on what is called “monumental architecture”. Such constructs were usually, but not always, religious in scope. Stonehenge, a large celestial calendar in monolithic stone, was laid out and built under Druidic guidance and influence. The iconic site was built in three stages starting in about 3100 BCE, with its last phase completed around 1550 BCE. There is nothing magical or supernatural about Stonehenge, though it was a sacred place to the pre-Christian people of the Salisbury plain in England well over a millennium before Christianity exerted its first influence. As an example of monumental architecture, however, it is almost unparalleled. In Ancient Times . . . The first humans settled in the land of Éire starting around 6000 BCE. At its closest point, the Emerald Isle is only 13 miles (almost 21 km) across the water from Britain (near Scotland’s Mull of Kintyre). Back around 7000 BCE, however, Ireland (leaving behind the last Ice Age) was a part of the European continent (as was the island of Great Britain) thanks to lowered sea levels. This conjoined land mass, which gradually filled in with water starting around 20,000 years ago, geologically is known as “Doggerland” (a modern designation from the 1990s), and it included dry-ways to Scandinavia. With sea levels as much as 400 feet (almost 190 m) lower than today, it takes little to imagine humans walking, and then perhaps wading, rafting, or canoeing a very short watery expanse, to get to Ireland from Britain under such conditions. What evolved into Celtic culture in Ireland’s waxing years as a unified nation came from Celtic migrations and invasions spread out from 600 BCE to 300 BCE. The Mesolithic and Neolithic people who inhabited Éire before the Celts, though, developed a culture and religion that recognized the natural world as a reflection of multiple deities; their respect for Nature, with its attendant mysticism, stemmed from that belief. Natural features on the landscapes for these primitives became objects of veneration or locales for ceremony. Rivers, natural springs, and even hills were invested with the spirits of divine beings. Most telling about these people and their beliefs is that—as most of the world did at the time—these guardian spirits were usually female. The Sacred Feminine ethos is an aspect of occult (not paranormal, but cultic) para-Christian religions, and it predates the world’s Big Three (all patriarchal) religions: Judaism, Christianity, and Islam. Ancient Egypt, ancient Babylon (from where the first Jews came), and other Middle Eastern cultures all embraced female goddesses as well as male gods. For millennia, people celebrated both the male and female essence. They particularly found women (as the genuine givers of life from their very bodies) as something as close to divinely mysterious and worthy of veneration as any other thing in their purview. Womanhood was celebrated and respected; its link to the moon goddesses of different cultures was clearly associated with the tidal actions of menstruation. The earliest settlers of Ireland brought their pre-Celtic culture and dual-role religious ideas with them. Around 3500 BCE or somewhat earlier (and evidence suggests they were among the first to do so) agriculture was employed. Credit: American Peoples Encyclopedia, 1963The site of Ireland’s first capital was found almost by accident. Roughly 22 miles (about 35 km) NNW of modern-day Dublin (in the eastern part of Ireland) a wandering group traveling around 3500 BCE (or so) discovered a hill, jutting up on the edge of a plain tapering away from it. The hill was about 500 feet high (slightly more than 150 m), and its location—somewhat interior from the Irish Sea but within a days’ march of the coast, made it defensible. The land around was arable, and six naturally occurring wells were found handy at the site. Settling there made perfect sense. Ancient peoples used natural formations as a means of easing their construction burdens. With the hill as its center, the site became known as “Tara” (in Irish, it is called the tongue-twisting Cnoc na Teamhrach). The settlement ultimately consisted of many structures, some nothing more than diggings into the nearby hills; others were more monumental, barrow works that meant humans had to move earth to create them. The first constructed works in the Tara environs is called the Mound of the Hostages. This barrow mound was built about 3400 BCE (some sources place its construction later at around 3000-2500 BCE). It is nearly 10 feet high (3 m), and is a circle of about 49 feet (15 m) in diameter. It is interesting in that its design follows the Neolithic worldview that embraced the Sacred Feminine. The mound is curiously “womanly”—facing its entrance way, the rounded “belly” (indicating fecundity) and the sumptuous “thighs” of an old-world idealized female are clearly in evidence. Adding to the certainty of this mound’s “femaleness” (ignoring the modern metal-bar doorway placed over it) is the shape of the earthen entryway between the “thighs”: it is curiously wider at the top than it is at the bottom (not generally the way architects design load-bearing doorways with lintels across the top). The Mound of the Hostages (in Irish: Dumha na nGiall) was a tomb. It also served as a marker for solar events. Its interior is designed in such a way that a shaft of rising sunlight lights the interior only on two specific days of the year that coincided with two celebratory days for these ancients (February 4 and November 8 each year). Credit: shadowsandstone,com; indymedia.ieInside is a rectangular space about 13 feet long by a little over 3 feet wide by roughly 5 feet high (4 m x 1 m x 1.8 m). Stonework with designs drawn upon them lines the space. Three niches (called “loculi” in Italy several centuries later) served as ossuaries; other archeological evidence showed bodies were cremated and the ashes buried beneath the floor. The Mound of the Hostages served as a tomb up until about 1600 BCE. When the mound was excavated starting in the early 1950s remains were found of an estimated 200-plus burials within. Ashes, along with attendant primitive grave baubles (decorated pottery and urns, stone beads, and bone pins), were scattered on the floor, and then covered with stones. Over time, the floor level rose to such a degree that further burials inside were not possible without destroying the solar-passage ability the sepulcher was really designed to observe. Future burials, before the site was no longer used for that purpose, meant interring bodies within the mound itself (not in the chamber). More than 40 such exterior interments have been discovered along with their attendant grave goods. Credit: wiki commonsThe Sacred Feminine also recognizes the masculine energy, and it is evident on the landscape at Tara, too. The most notable monument is atop the hill of Tara itself. This is the Lia Fáil, a stone monolith in a purposely phallic shape. The Lia Fáil, or “Stone of Destiny”, became the spot at which Ireland’s first chieftain kings, the “High Kings”, were crowned. It is sometimes known as The Royal Seat or the Place of Judgment (as it was here kings heard and settled disputes). The giant phallus’ origins are murky. Its story is steeped in tradition, and dates to no confirmed time. The tradition holds the pillar was brought there by a race of semi-divine people, the Danann, whose primary deity was the goddess, Danu. The stone is associated with much folklore. It was believed to be the means by which “true” kings were identified—a claimant to the throne of Ireland was supposed to touch the stone. If it “roared” (vibrated or made some sound) then the candidate was indeed a “true” king and could rightfully be crowned. Another tradition required claimants to scale the stone and stand on its top—if he could not do this, he was not king material. Recorded sometime after 600 CE was the detail that potential kings had to drink ale and symbolically enter into a marriage with the goddess Maeve (or Medb) to ascend to high-kingship. All in all, 142 known kings of Ireland, dating back to antiquity and ending sometime in the 11th Century CE, could lay claim to the divinely inspired “approval” of the Lia Fáil (sometimes also called the Coronation Stone of Ireland). As far as “kingly” status goes, though, it is almost certain such kings did not rule over all the island of Ireland, but would have been the dominant (and most recognized) authority among many other clans and tribes headed by lesser kings. A more refined group among those who found the Sacred Feminine in trees and in brooks was a learned class of priests, teachers, and judges. These spiritually minded men (and women) were called Druids. Druidic belief centered on the immortality of the body and the transmigration of souls. Souls could be found in Nature; hence, there was a greater respect for the machinations of the natural world around them since all the things in their world might be “alive” with a spirit. The lot of the Druid priest was to instruct young men. They also oversaw sacrificial and other ceremonial duties, such as those celebrations associated with the solstices. Another function was judicial, handing down decisions and penalties involving quarrels among the people. They studied and recorded ancient verse, and passed these narratives down orally to their charges (who were mostly illiterate). They delved into what was once known as “natural philosophy” (physics). Animal (and very rarely, human) sacrifice was used to cure gravely ill people or to protect warriors in battle. The Druidic religious “clergy” were exempt from warfare, and they paid no tribute to chieftains. The Irish kings as time passed followed the Druid religion. The complex at the Hill of Tara reflected this influence with further barrow works (concentric circles at the top of the hill, for example, one particularly large ditch/embankment project called the “Fort of the Kings”). The Scared Feminine was maintained, too, as the early Irish recognized equality among the sexes in marriage arrangements as long as the parties involved were of the same class (and the early Irish had 10 different degrees of class structure and caste rules that went along with them). The Hill of Tara was never continually occupied. Proof of this comes from its lack of what could be considered permanent fortification. 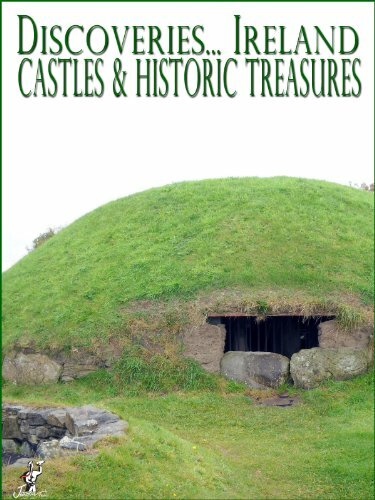 While the hill-top and the slopes show evidence of palisades having been built at various periods (and there are the vestiges of thrown-up earthworks), there are no fixed permanent housing structures (such as castle keeps or towers, prevalent elsewhere in Ireland and used for watches and defense). The site is believed to have been more akin to a meeting place or a seasonally occupied venue and not a year-round tenancy for the people who passed through. Regardless, the site did see its fair share of action and ceremony and celebration. Its historicity stems from its being the place of coronation for the kings and the “court” locale where grievances were heard and resolved. Another feature on the hill’s sloping landscape is called the “Old Hall” or “Banqueting Hall”. While it is given a name suggestive of dining it is more likely this was more an avenue or central plaza or meeting place. It may have been used as a gathering place for clans to celebrate, worship, or settle disputes. When Rome began subsuming its neighbors the state religion, requiring homage to Roman gods, goddesses, and its emperor, was enforced. Though the word “pagan” was not known to early Romans in the derogatory sense that Christians would later use it, any other religious activity that subverted the Roman deities was verboten. Beginning in the 1st Century CE the Romans suppressed the Druidic practices in Gaul. With Roman occupation of Britain later, the Druids were similarly persecuted and suppressed. And, finally, the Roman influence was felt in Ireland when the zealot St. Patrick made a point of enforcing Christianity upon the people of Ireland. It is believed he started his mission in the heart of the beast (so to speak) by initiating his missionary work in the Druid/earth-cult stronghold of Ireland, the Hill of Tara (with its symbolic and real political power). In the wake of the Roman and later Christian onslaught the Druids lost their clout as priests. They settled into more civic roles such as that of poets, historians, and judges. By the late 11th Century the quaint kingships of Ireland, quarried and hewn from Stone-Age beliefs, were gone. In Later Times . . . When the Celts came calling starting in about 600 BCE, the face of Ireland began to take the shape it is known for today. The language was reflective of the invaders, though the Celts also adhered to Druidic traditions. The country became more unified under the Celtic yoke. The ancient tribes and tribal kingdoms were assimilated, but much of the old realm remained. The Celts assumed control over the complex at the Hill of Tara, recognizing its importance both culturally and spiritually. The Hill of Tara was still regarded as a sacred place in addition to being a seat of power. Norsemen, Normans, English, and Scots, all also invaded and influenced the racial and ethnic make-up of the Irish people. The site waned in importance after St. Patrick brought Christianity to the Irish. Furthermore, skirmishing with Britain was ongoing as the Irish sought independence from the Crown. A famous battle was fought during the Rebellion of 1798 at Tara. An Irish independence force had established an encampment there, but it was attacked by British troops on May 26, 1798. The under-armed Irish, overwhelmed by the British, were defeated. In the wake of this defeat the Lia Fáil was removed from its original spot and re-erected over a place that marked the graves of the roughly 400 Irish rebels who died there on Tara in the battle. Following the 1798 rebellion, England’s Prime Minister, William Pitt, decided the best course of action with respect to the “Ireland problem” was to unite the two countries under Britain’s Crown. The Irish parliament did its best to resist this proposal, but votes were purchased outright in cash or by honors conferred upon Irish voting members or other promised favors, and the Act of Union was passed in 1800. In a more peaceful symbolic event in 1843 over three-quarters of a million people gathered at the site to support a political agenda on behalf of Ireland, favoring separation from Britain (created in the Act of Union of 1800). While admirable as both a symbol of Tara’s continued importance both nationally and politically for Ireland the demonstration failed—the Act of Union of 1800 remained in effect until 1922 when the Irish Free State was finally recognized. 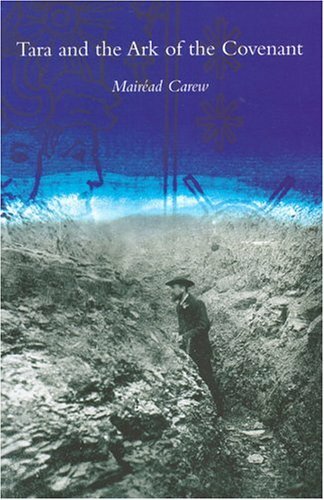 Bizarrely, around the turn of the 20th Century some felt the island of Éire was a refuge for one of the Lost Tribes of Israel. The thinking was that a splinter group of Jews had migrated that far (first to Britain), setting up a homeland and becoming assimilated into the Irish landscape and culture. The legendary Ark of the Covenant was also thought to have been brought to Ireland, specifically cached on the Hill of Tara. Supporters of this theory included Irish nationalist and poet, William Butler Yeats. Excavations at the site (where Yeats participated) from 1899 to 1902, of course, failed to turn up the Ark. 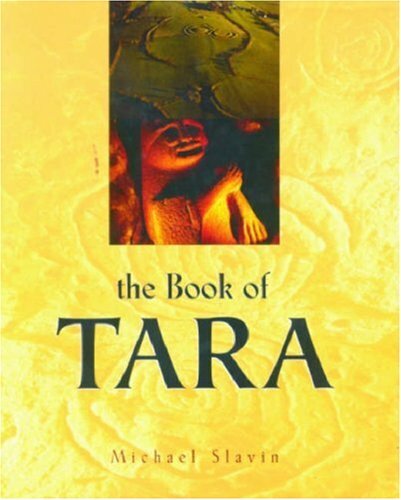 More anecdotally interesting, though, is that the excavators failed to tell the owner of the land upon which Tara sat of their intent—discovering the early diggings on his property he came out and threatened to shoot the trespassers. Major archaeological work in the mid 20th Century was conducted more professionally and revealed many Iron and Bronze Age artifacts as well as the human remains found in the Mound of the Hostages. Care was taken to establish the outlines of the Banqueting Hall site and the barrow works atop the hill. Writing as we know it (symbols standing for abstract and concrete concepts) was invented by the Babylonians. It is arguably (perhaps after the wheel) the single greatest invention in humanity’s history. With writing came record keeping, and with record keeping came history. Unfortunately, most keepers of Ireland’s history tended to forget there was a rich culture (replete with tales of heroic deeds by men and women), narrative poems passed on orally, art works and crafts, and a spirituality that existed long before Jesus of Nazareth ever drew breath. The world at large generally holds Ireland as a savage land until St. Patrick showed up and brought the “civilizing” light of Christianity to these Nature worshippers. There are some curators and scholars taking better care these days to spotlight Ireland’s earliest history, though. Its factual “pre”-history and the folklore of the Land of the Fae are worth investigating and preserving. The Hill of Tara stands today, despite a nearby motorway project that has upset the tranquility of the site, as a solemn and wondrous reminder of Ireland’s magically glorious time before there was a Jewish preacher named Jesus. less serious, but rockin' AND funny! far into the future . . . I love history. The history of Tara hill is fascinating to me. I have learnt so much and thanks. My brother was recently in Ireland while this piece was in development. He did NOT get to Tara--I was soooo mad!! Thanks for reading! 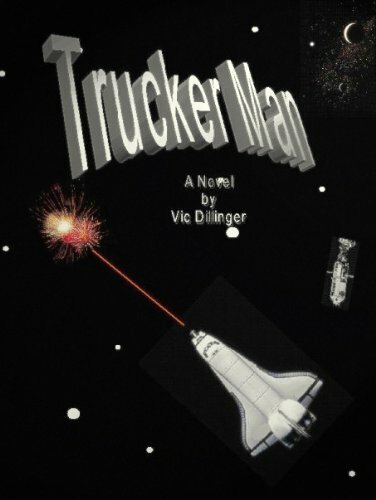 This was a great read, Vic. Sadly I never got to Tara during my time in Ireland, but it's probably one of my favorite places - Thanks! I think it would be great to stand on the site and take it all in. Thanks for reading. Interesting! Obviously Margaret Mitchell knew her Irish history in naming the O'Hara plantation 'Tara". Her Irish ancestry, courtesy of her grandfather, would have been responsible for that & it certainly had an influence (an early reference in GWTW is the founder of Tara, an Irish immigrant like MM's grandfather). It would have been in her family history. Thanks for reading. Very nice piece here! Ireland seems like such an amazing place. This is definitely one of the first places I would like to go when my wife and I start traveling more. Thanks for the information Vic. Keep it up! The thing about Ireland of keen interest with its centuries' long, relative isolation, the culture was allowed to develop organically. The result was an earth-centric religion and equality between the sexes. Christianity did not improve upon this model one bit. Visiting Ireland with the sole focus of learning about its pre-Christian history is one of my goals before I die. Thanks for reading. Five generations ago my family left Ireland, luckily for me they chose to settle in New Zealand where many Europeans found opportunity to design their own future free of class or race discrimination. I'm very thankful to them but I also feel the urge to visit Ireland one day and Tara is on my list. Thanks for the share. It looks like one of those primeval type places you would stand atop and imagine what life may have been like back then, that--for me--is part of the charm. I'd like to do that myself. Thanks for reading. Eileen J. Garrett Many Voices. New York City: G.P. Putnamâ€™s Sons, 1968. "Tara." American Peoples Encyclopedia. 1963. Maya Magee Sutton & Nicholas R. Mann The Practice of Celtic Wisdom: Druid Magic. Woodbury, MN: Llewellyn Publications, 2000. J. L. Heilbron Geometry Civilized. Oxford: Clarendon Press, 1998. "Act of Union; Celtic religion; Druid; Ireland; Stonehenge." Britannica Ready Reference 2003. 2002. Brian Fagan "Safe Harbor." Smithsonian. 44:3 01/06/2013.